Veterans kayak program: ‘4 Star Award’ winner (Examiner.com) On December 2, 2013, the Tennessee Recreation and Parks Association awarded the Chattanooga Department of Youth & Family Development the prestigious “4Star Award,” which recognizes the best overall programs, facilities and marketing in the state of Tennessee. Perhaps the biggest surprise was the “4 Star Aquatics Program Award” or “Veterans Kayak Program,” which the Department of Youth and Family’s Therapeutic Recreation division created in January 2013. Fort Drum expected to lose 2,800 soldiers and civilian workers from 2012 to 2017 (Watertown Daily Times) Fort Drum is projected to lose about 2,800 soldiers and civilian workers over the next few years, according to an Army analysis outlined Thursday. Focus on Agriculture: Program helps vets transition from military to farming (Richmond News) When Dustin Ladenburger climbs up into his tractor seat these days he finds he cannot reach the pedals. Disabled Veterans National Foundation Reminds Veterans of VA’s 2014 COLA Increase (PR Newswire) The Disabled Veterans National Foundation (www.dvnf.org), a nonprofit veterans service organization that focuses on helping men and women who serve and return home wounded or sick after defending our safety and our freedom, is reminding veterans of the VA’s recently announced cost-of-living adjustment (COLA) in 2014. Ex-congressional staffer lied about war injuries to get VA benefits, prosecutors say (Deseret News) A man who worked for a Utah congressman through the Wounded Warrior Project faces criminal fraud charges for allegedly lying about being injured in the Iraq war to collect disability benefits. Budget cuts might slow improvements in veterans’ homelessness (CharlotteObserver.com) The country has made progress toward its goal of ending veterans’ homelessness by 2015, but budget cuts might stand to threaten the momentum, according to federal officials. Legion Challenges VA Claims Accuracy (Military.com) The American Legion testified at a Dec. 4 hearing on Capitol Hill that examined VA’s track record in processing complex disability claims that deal with conditions such as traumatic brain injury (TBI), post-traumatic stress disorder (PTSD) and military sexual trauma (MST). Rocky named a top college for veterans; MSUB opens veterans lounge (Billings Gazette) With the number of veterans pursuing higher education continuing to rise, Billings colleges are working to expand the services they provide and recently earned national rankings for their efforts. VA Medical Center’s Ladies’ Night 2013 honors women veterans (DC Military.com)On Nov. 22, the Washington DC Veterans Affairs Medical Center’s Atrium was transformed into a festive ballroom and mini concert hall. VA regional offices improperly paying out disability claims, IG tells House panel (Fierce Government) Veterans Affairs Department disability claims processing problems at the regional level resulted in improper payments that the VA will likely never recover, Deputy Assistant Inspector General Sondra McCauley told a House panel Wednesday. Veterans Affairs medical centers failed to properly review patient incidents, GAO says (Fierce Government) Veterans Affairs medical centers didn’t properly review incidents where patients were injured due to a doctor’s intervention, a Dec. 3 Government Accountability Office report says. Big battle is brewing over move to rein in military pay, benefits (Omaha.com) The Pentagon is pulling out its big guns in a fight over the growing cost of compensating the men and women who fight our wars. 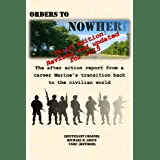 This entry was posted in Transition Posts, Transitionnews and tagged Army, Benefits, career, coast guard, Disability claim, Employment, Enlisted, Job Search, Job Seeking, Marine Corps, Military Transition, Navy, Networking, Officer, Retirement, transition, VA, Veteran, Veterans Administration, Wounded Warrior. Bookmark the permalink.